I'm a avid reader, writer and former teacher. I write cozy crime fiction set an a village in the Midlands, a bit like the one where I live. 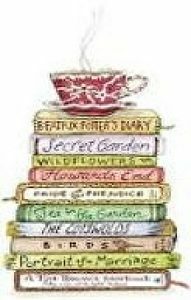 I'm published by mycupofteapress (see website), which is just as well as there's nothing I like better than settling down with a cuppa and a good book or having a wander around the village and having a good old gossip! Missing in Millfield- opening extract! Just thought you might be interested in meeting the hero or heroine of my book Missing in Millfield, psychologist Liddy Grey. First of all she’s a UK educational psychologist. I followed the maxim of write what you know. I know about this role as that’s what I do and a very interesting and absorbing job it is too! In the book she is Dr Liddy Grey, ( UK EPs now take a doctoral qualification) but Liddy wears her learning lightly and remains down to earth, grounded and practical. She’s also a bit scatty, rather disorganised but warm, friendly and good at her job. Missing in Millfield- 5 star review! When should you give up with a book and start another one? Creativity and the moon cycle.